Former Georgia Governor candidate Stacey Abrams told PBS that dramatic demographic changes in Georgia is giving Democrats a "pathway" to "reclaim more power." 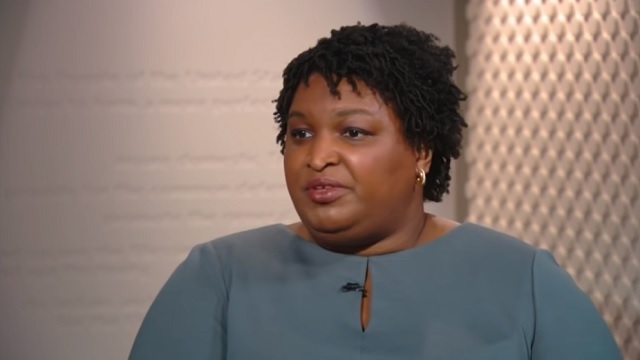 Explaining why she thought she could win, Abrams told PBS's Firing Line last week: "Georgia [is] changing fairly dramatically and very quickly. And I could see that there was a pathway for Democrats to surge and to start to reclaim more power in the state. I believe that we are a purple state. I like to say we're blue and just a little confused. But the notion being that, as we continue to change demographically, our politics are gonna keep changing." As AJC reported, "A massive demographic shift is happening all over Georgia, with white populations in most counties expected to become the minority - fewer than 50 percent of residents - within the next decades." MARGARET HOOVER: What is your view about some municipalities, like San Francisco, who have decided that it's okay for some non-citizens to vote in local elections? STACEY ABRAMS: I think there's a difference between municipal and state and federal. Part of municipality -- I'm not arguing for it or against it, but I will say, having been deputy city attorney, there's a very -- the granularity of what cities decide is so specific, as to, I think, allow for people to be participants in the process without it somehow undermining our larger democratic ethic that says that you should be a citizen to be a part of the conversation. MARGARET HOOVER: So, in some cases, you would be supportive of non-citizens voting? STACEY ABRAMS: I wouldn't be -- I wouldn't oppose it.